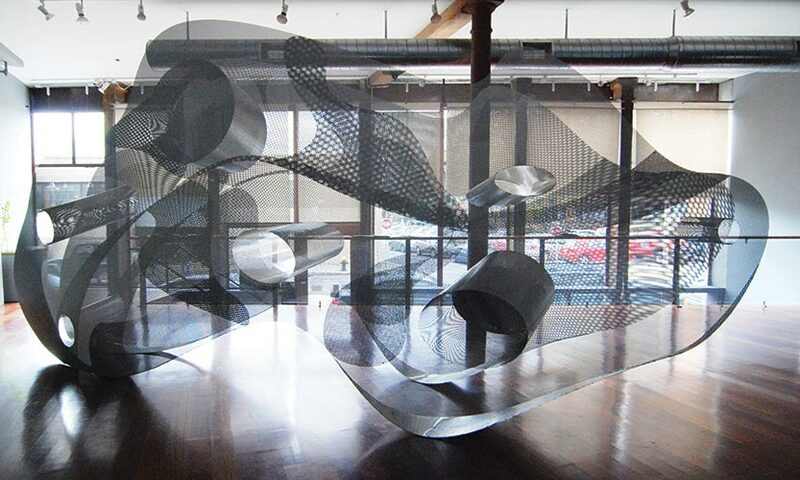 Structural integrity and ephemeral translucency are provided by perforated sheets of aluminum. Viewed from this backlit side, the piece seems to have no substance. From the other side, light reveals much more. Interactions between the transparent, perforated metal layers create animated moire patterns that vibrate with the viewer's shifting perspective.